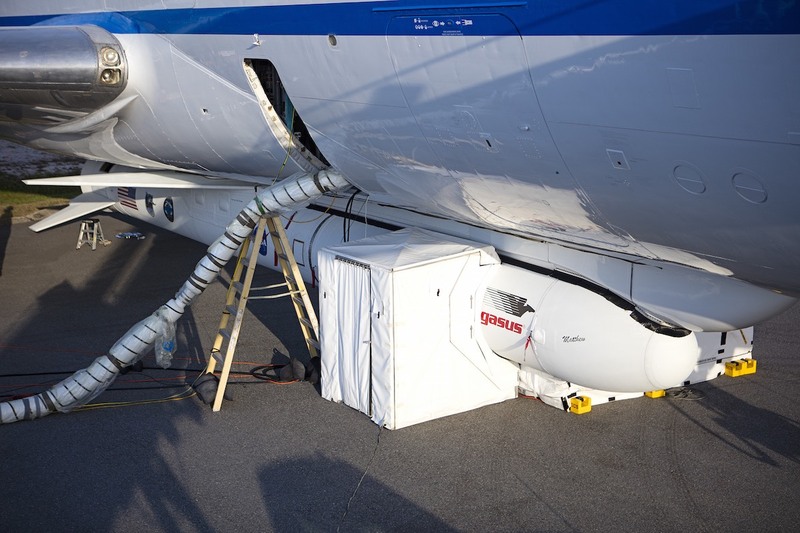 Take a look around the L-1011 jetliner, Pegasus rocket, and ground support gear at Cape Canaveral Air Force Station’s Skid Strip for Monday’s scheduled launch of eight microsatellites to listen for winds inside hurricanes. 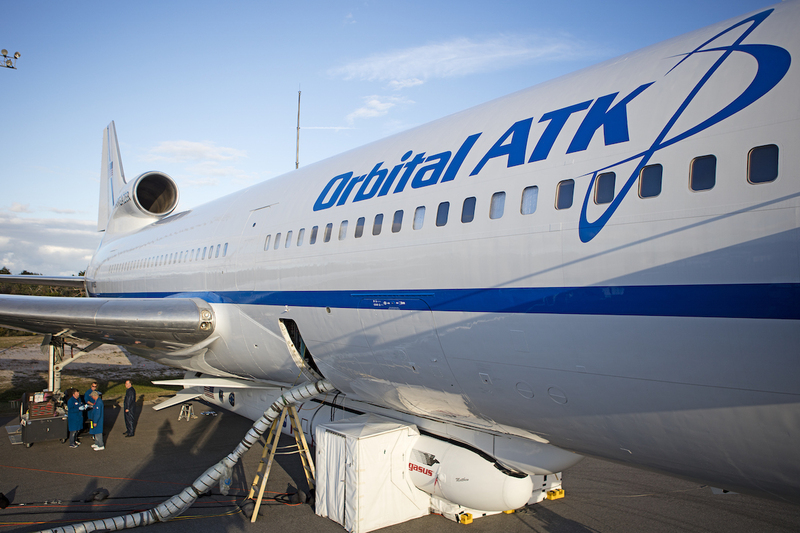 NASA and Orbital ATK, the Pegasus rocket’s contractor, gave reporters and photographers a tour of the “hot pad” at the Cape Canaveral runway, where the modified L-1011 jumbo jet that will carry the booster aloft arrived Dec. 2 from its home base in California for final tests. 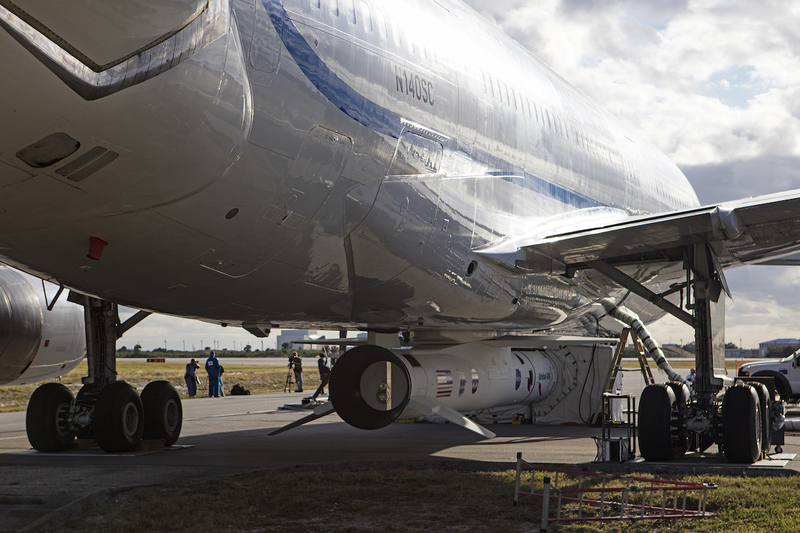 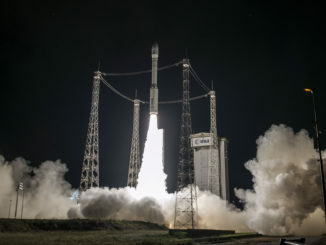 The plane will take off from Cape Canaveral around sunrise Monday and head offshore to drop the 55-foot-long (17-meter) winged rocket about 100 miles (160 kilometers) east of Daytona Beach. 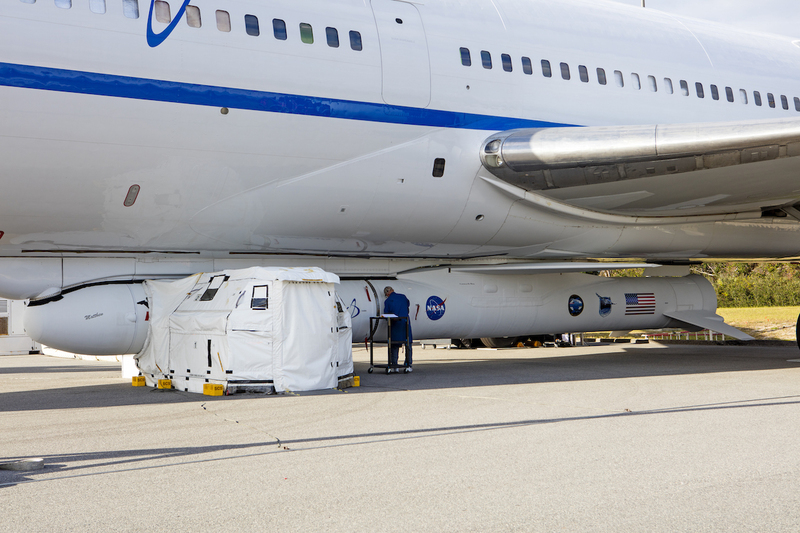 The Pegasus rocket has flown 42 orbital missions to date, with 28 straight successes on those flights. 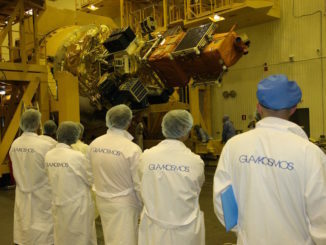 Five of the launches have been based out of Cape Canaveral, with the last from Florida occurring in 2003. 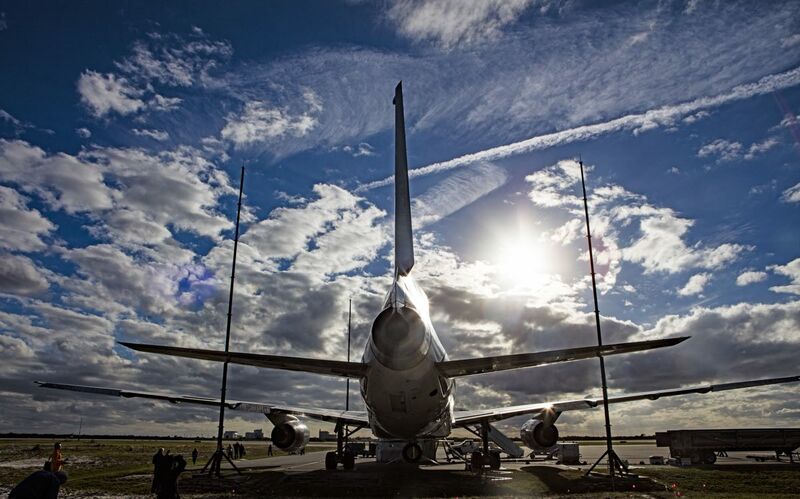 The L-1011 carrier plane, first delivered to Air Canada in March 1974, has been stripped of its passenger seats and other unnecessary equipment after Orbital ATK acquired the aircraft in 1992. 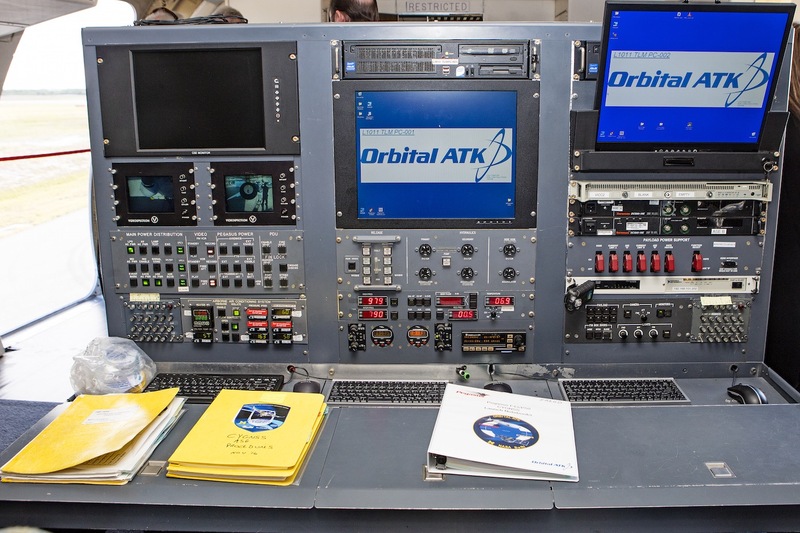 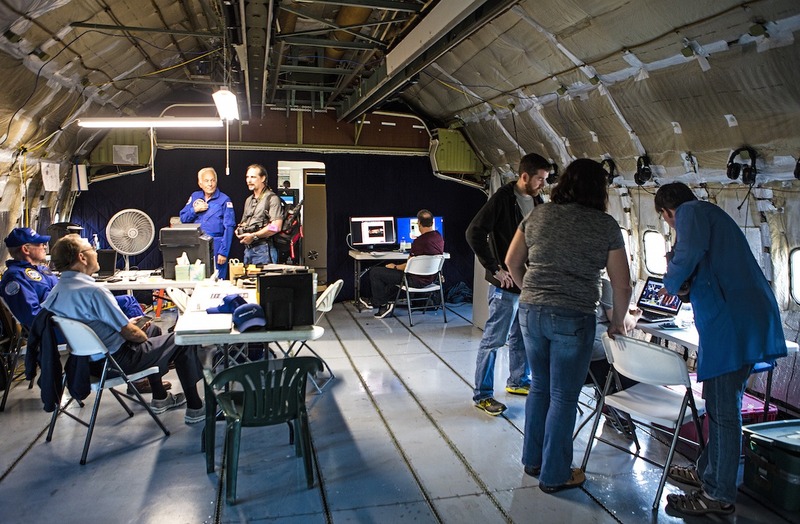 In the forward fuselage, three control consoles are available for Pegasus engineers to prepare the rocket for launch. 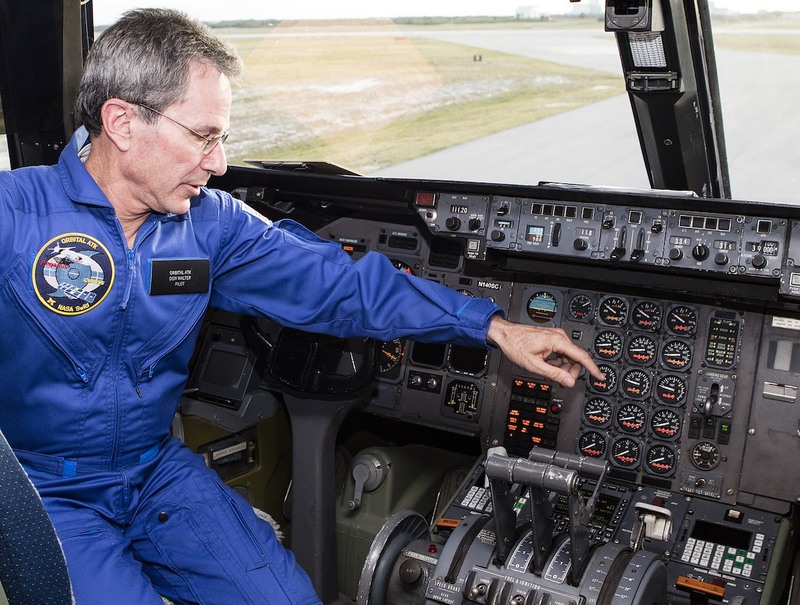 Three seats are in the cockpit for the pilot, co-pilot and flight engineer. 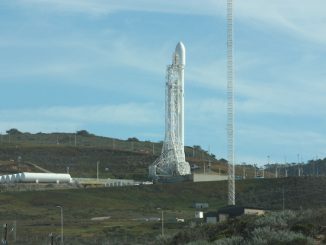 A few seats remain at the front of the plane for backup crew members and other officials during launch operations and ferry flights. 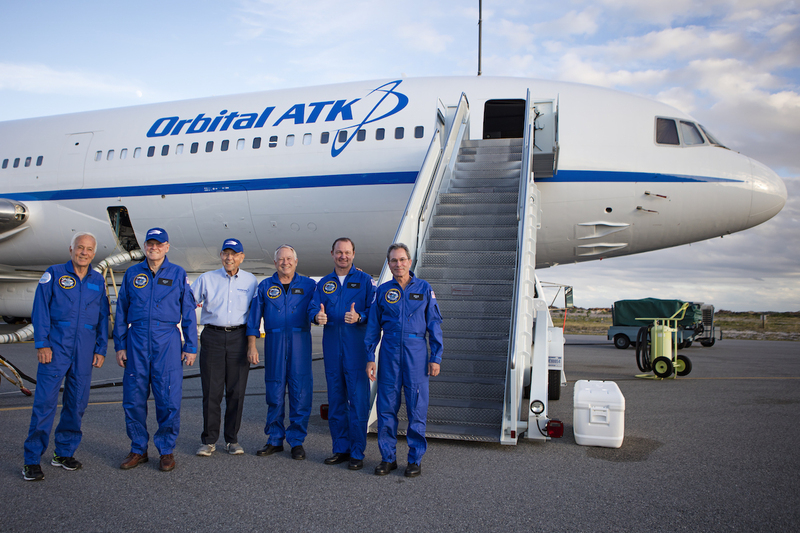 For Monday’s mission, Orbital ATK officials said eight people will be aboard the Lockheed-built L-1011 TriStar. 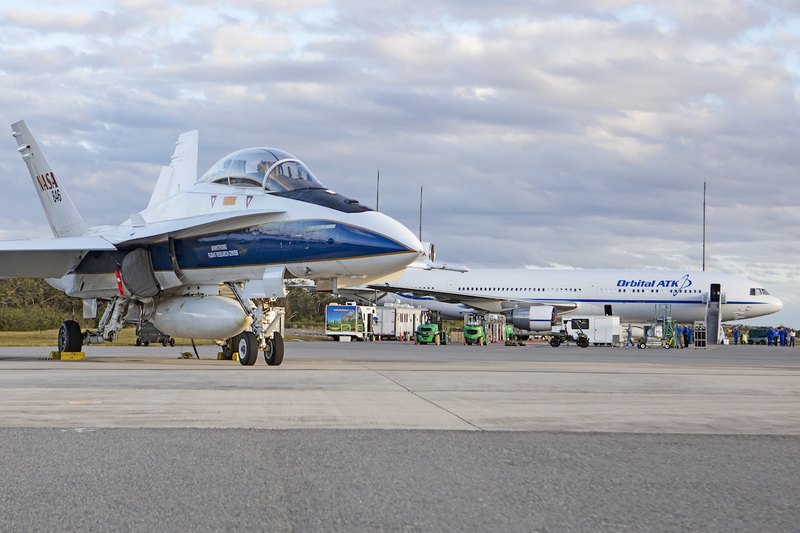 The photos also show the NASA F/A-18 chase plane that will accompany the Pegasus and the L-1011 aloft Monday.